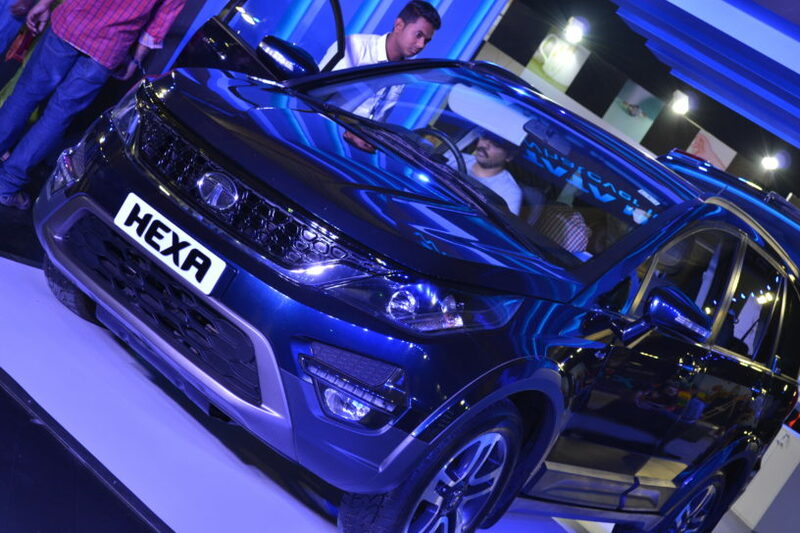 Hey there lovely people, recently I was invited by IndiBlogger team to attend “TATA Hexa Experience” event, held at White Orchid, Bangalore. It truly was one of a kind experience. In other words if I try to describe, it took test drives to some other level altogether. 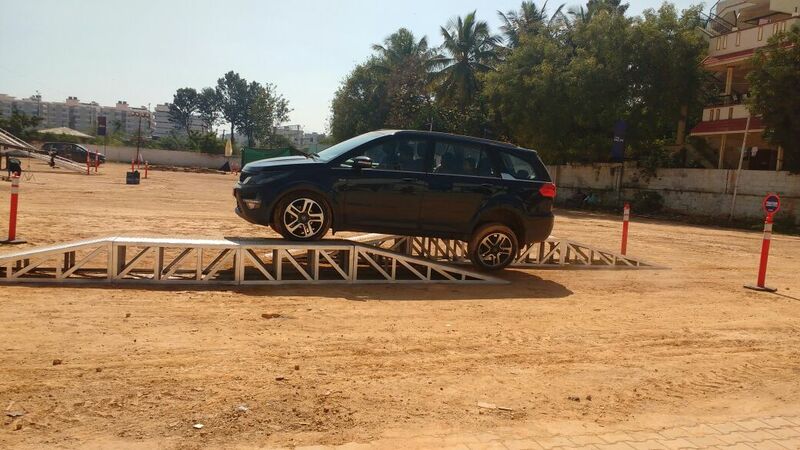 Here you could witness TATA Hexa live in action and also experience the same. 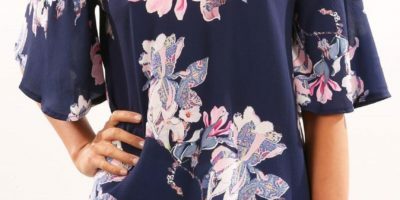 As we moved, we could see many TATA ventures like TATA Housing, where they were telling about their plans and new ideas, MIA, another TATA venture which makes and sell women jewelry. Then comes my favorite electronic store CHROMA. 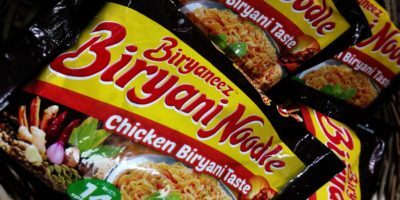 Registered myself and got discount coupon which I can use within 3 months. Then there was Titan Watches stall which have some of the best watches and then there was set for Octane car race where we can challenge our fellow partner to have a race. And yes. I beat my husband in the race. 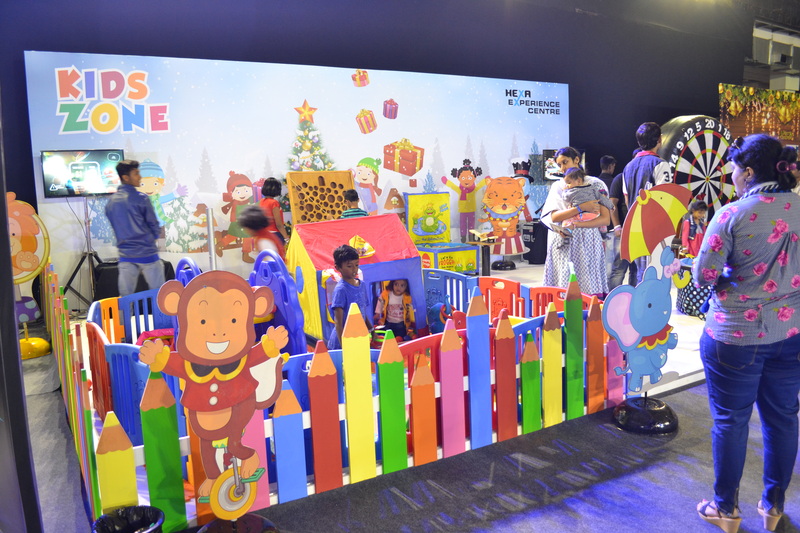 There also was a fun zone for kids where many fun games were present for kids so they can have fun while you make a decision on a vehicle purchase. Also there was pet adoption center where you could adopt a pet. I saw so many cute puppies though I am scared of dogs and thousand other things but they sure were cute and they were not barking at all. Conclusion, you buy a car and get a new family member. 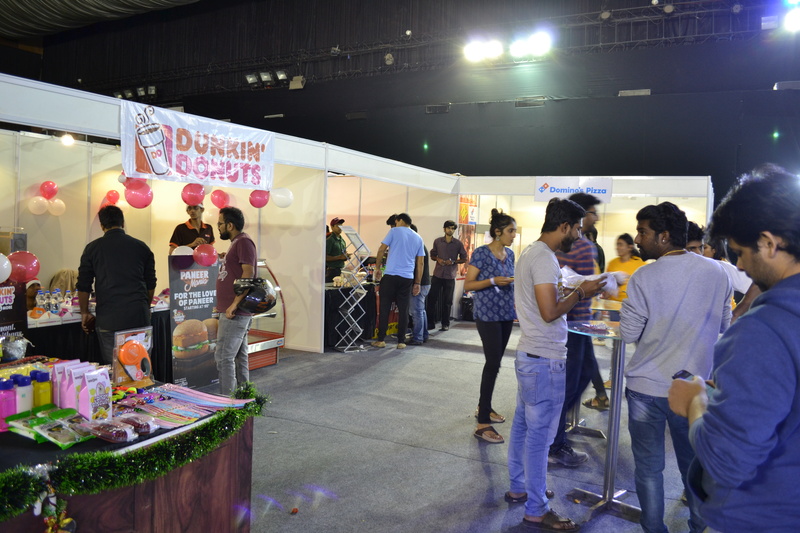 There were food stalls from famous vendors like Dunkin Doughnuts, Kaati Zone, and Domino’s pizza and Tata tea and coffee stalls where you can pay and eat delicious food. Fortunately these are all my favorite food banners and I was hungry so I ate from every stall (Please don’t judge 🙂 ). 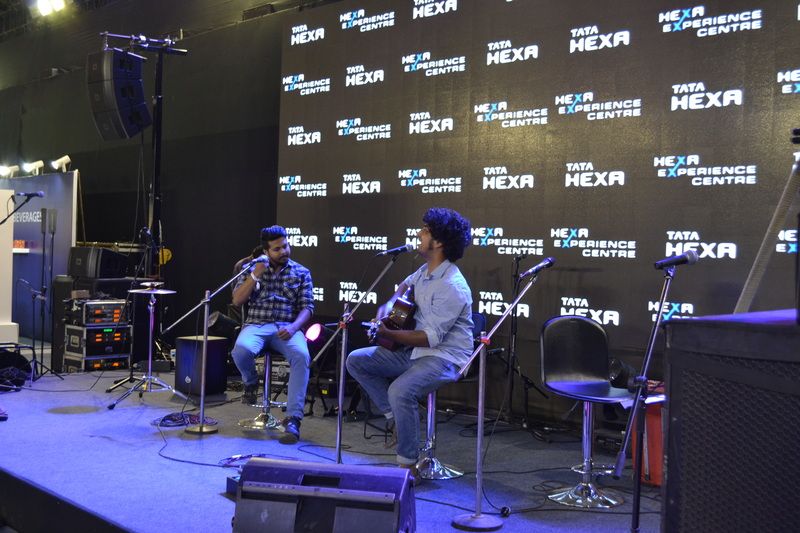 There is more, you could also indulge in live performances by some very talented artists and catch a break and get some refreshments from the above mentioned stalls. 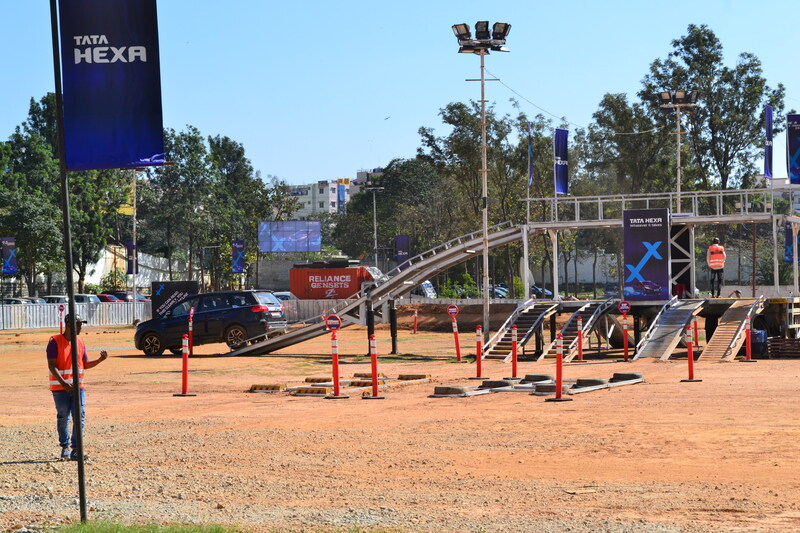 Then there was 360 digital zone, which I heard was installed first time in Bangalore. Had lot of fun where I could check all the features of HEXA virtually. 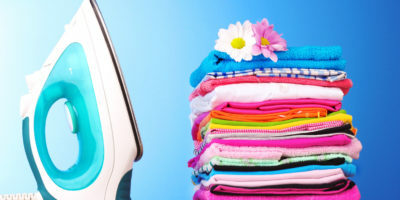 You can also download the app for same and try it sitting at home. All these stalls were built around the center of attraction i.e. HEXA SUV. Here you can check out the car, its features, engine etc. Discuss with the experts about the features and take an up close and personal look of interior. 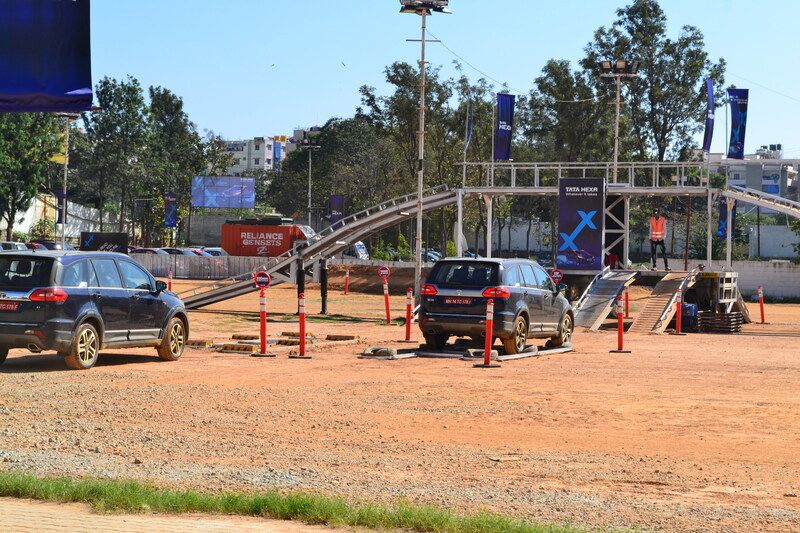 Here comes the fun part, the part I waited for whole day, they have setup an off road track where people can experience a kind of roller coaster ride in Hexa. I will add couple of photos hoping it will explain it better. Also you can take test drive on regular road (Bangalore roads are not very regular though 🙂 ).